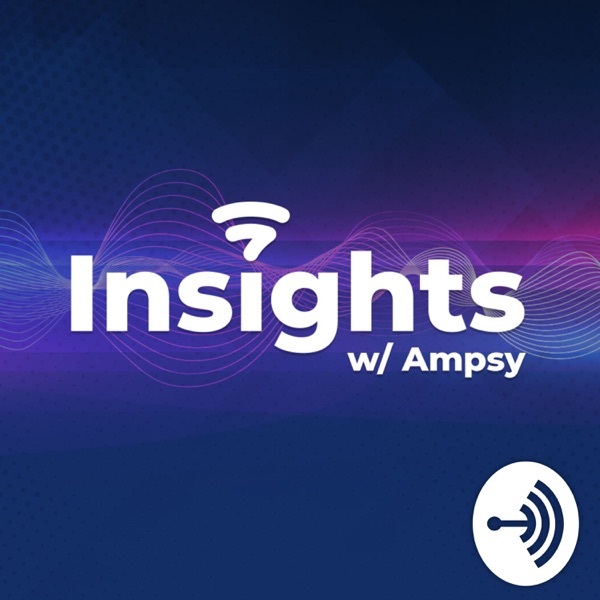 Insights with Ampsy | Listen Free on Castbox. Talking with industry experts about the future of marketing, entrepreneurship and the things that make a business successful. Some people figure out what they’re good at later in life, and some know early on they’re meant for a certain career. Kirk was the latter. With guidance of a family friend, he tried his hand in the world of technology early on and the rest as they say is history. The first thing he ever built was a grade tracking system. He didn’t ever have an users, but he did convince some of his teachers to test it out.Soon Kirk would find himself in the throes of the startup technology community in Arizona. Over the years, he held a number of roles and experimented with a variety of products that primed him to start Persosa, which recently closed out its $500,000 Seed Round.Persosa solves for the lack of personalization in traditional marketing. Marketers can now create a fully personalized marketing journey for each unique customer. Kirk goes on to share how Persosa helped Spiritual Gangster, among other businesses, increase conversions and change the way they market to their customers. After some time working with non-profits, Kimberly went back for her masters at ASU. During that time, fell in love with the university’s approach to education, innovation and social impact. She applied for a role in the Entrepreneurship + Innovation Unit at ASU, which seemed like a natural transition due to the parallels between the nonprofit and small business world challenges and approaches.“With nonprofits, most of the solutions are more of a bandaid than addressing the fundamental issues. By working directly with businesses, I thought I’d be able to have more of a direct impact on the systemic issues our society is facing,” Kimberly said.About a year ago, Kimberly was offered the role of Director of Entrepreneur Programs for the BBB in Phoenix. She shares how the BBB really embraces the startup approach to business with lots of iterating, testing and prototyping.She also share some awesome educational and community engagement opportunities listeners should take advantage of! After Amie had her daughter Bria four years ago, she briefly went back to work in the pediatric ER, but soon found her heart wanted to be home with her little one. So, after about eight months, she decided to put her career on hold to be a stay at home mom.There she was, at home, with lots of time on her hands to peruse social media while Bria was napping when she was younger. On a one-income budget, she couldn’t go buy all the cute clothes she saw online. After some encouragement from her husband, she decided to try making some of her own pieces. How hard could it be?Since then, Briabay has slowly expanded to include all sorts of new items to fit Bria as she gets older. Briabay’s online presence and influence has grown as well. She started with just an Instagram account and reached out to other small shops or influencers to see if they would be interested in trying her product. One connection after another, the community of other influencers and mommy bloggers continued to grow. Caitlin didn’t know anyone in Phoenix when she moved here for an internship after college. But, that didn’t deter her. Her father had ingrained the idea into her that "nothing good happens in your comfort zone," at a young age. This approach to life motivated her as she started her new job in Downtown Phoenix in the summer of 2013. After being offered a full-time role with the company, she dove head-first into the startup world and soon found a groove within the community.Today, she co-manages the social media for #yesphx, is the City Director for the Phoenix chapter of House of Genius on top of her full time job as the Marketing Communications Manager at Risas Dental and Braces. She goes on to talk about her love of social media and some of the different platforms, strategies and tactics she's employed over the years. Jeremy did a research project on West Point when he was in seventh grade. From that moment on, his goal was to attend West Point for college. Despite having no military background in his family, he worked hard, and when the time came to apply, he received early admission to the school of his dreams.The determination and follow-through would carry over into his entrepreneurial efforts later on in life. After serving, he took a traditional corporate job and quickly found himself bored, but that didn’t deter him. “I told my boss that I wanted to train Brazilian Jui-Jitsu from 10 am to 2 pm every day,” Gocke said, and he did just that.Eventually, he left his corporate job to start a business with some of his friends from West Point. While the technology was innovative, the timing was not. The dot com bubble burst, and the business was shut down. This experience, that left him with $87 to his name, would ultimately be the spark for Jeremy’s string of successes over the years. We sat down with Samantha Ley, the Director of Client Development at Find Your Influence (FYI), a local startup leading the charge in the world of influencer marketing platforms and managed services, to talk about the art of influencer marketing.She shares her journey, starting with her time at Marriott and their incredibly innovative but time consuming approach to influencer marketing. A few years later she crossed paths with the founders of FYI who shared their idea for the platform. That was almost three years ago. Since then the company has jumped from six to 34 employees with a global presence and client base. She goes on to share some advice for businesses looking to engage influencers, an exciting international campaign FYI managed as well as advice for aspiring influencers looking to build their brand. This is a great chat for anyone looking to learn more about the world of brand and influencer marketing! We sat down with our very own Mike Alonzo for our first Insights with Ampsy podcast. He shares his story leading up to joining Ampsy two years ago including his first bigwig job, publishing an indie magazine called PROVOKE, making the ranks at GoDaddy, and then trying his hand at entrepreneurship again before pivoting to run an agency.He goes on to explain how each of these experiences taught him lessons and prepared him to dive into his current role of VP of Product for Ampsy. When he gets home, he also plays the role of CDO, Chief Do Whatever He’s Told Officer, for his wife’s company Briabay. Mike shares he and his wife’s entrepreneurial journey, consistently increasing Briabay product sales month over month, with a booming social presence and tremendous thought leadership in the mommy blogger space. We go on to discuss different methods for engaging influencers as well as ways that influencers partner to promote each other.